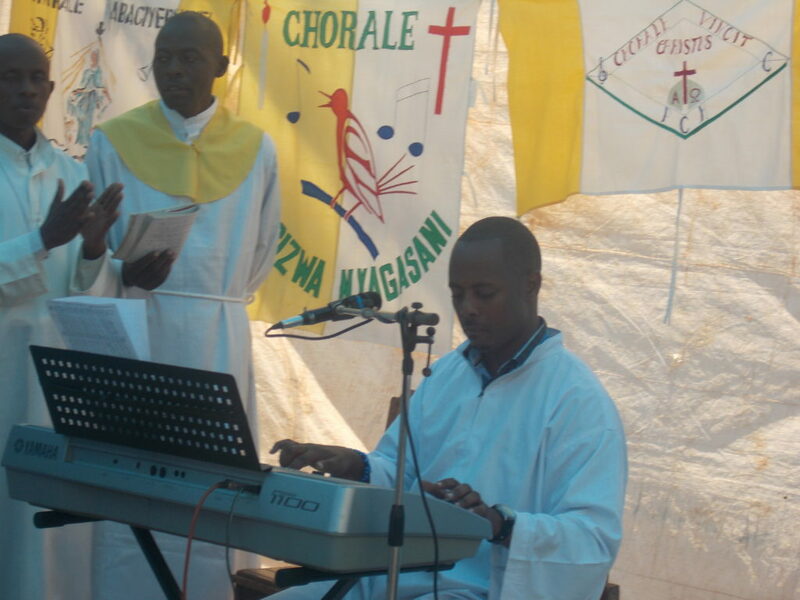 New apostolic nuncio to Rwanda, Monsignor Andrzej Jozwowicz has appreciated the rhythm and performance of Kizito Mihigo’s Choir while it was performing at Mageragere new prison of Nyarugenge District. 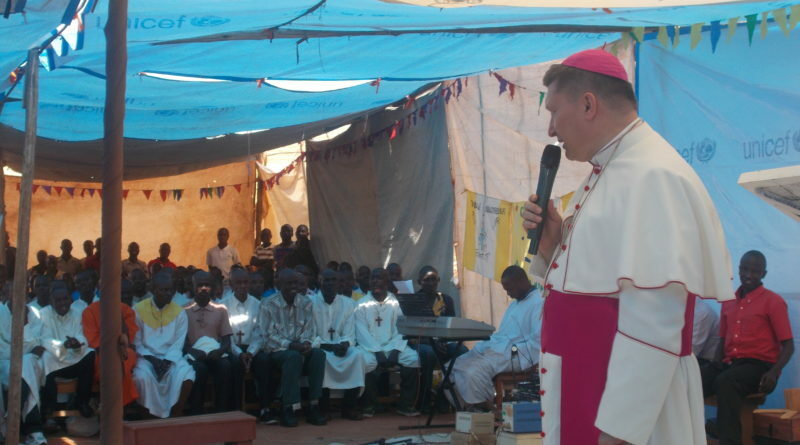 Jozwowicz has been in Kigali for religious mission as recommended by Pope Francis to give Confirmation sacrament to prisoners who are Catholic Church believers. Prisoners have showcased various talents to welcome the new apostolic nuncio. 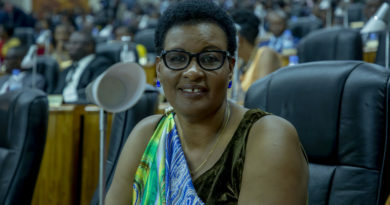 Among talents which they exhibited in front of the nuncio are traditional dances, peace and love-based theatres and performance of prisoners’ choir headed by Kizito Mihigo with melodious music coupled with tuning piano. 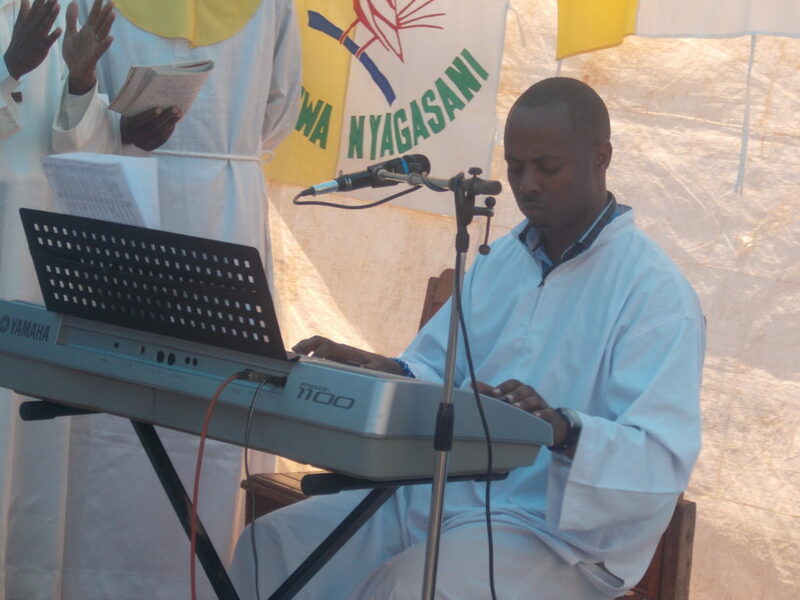 Kizito Mihigo during the Live performance at Piano playing and Melodious Chatholic songs (Elias Hakizimana). 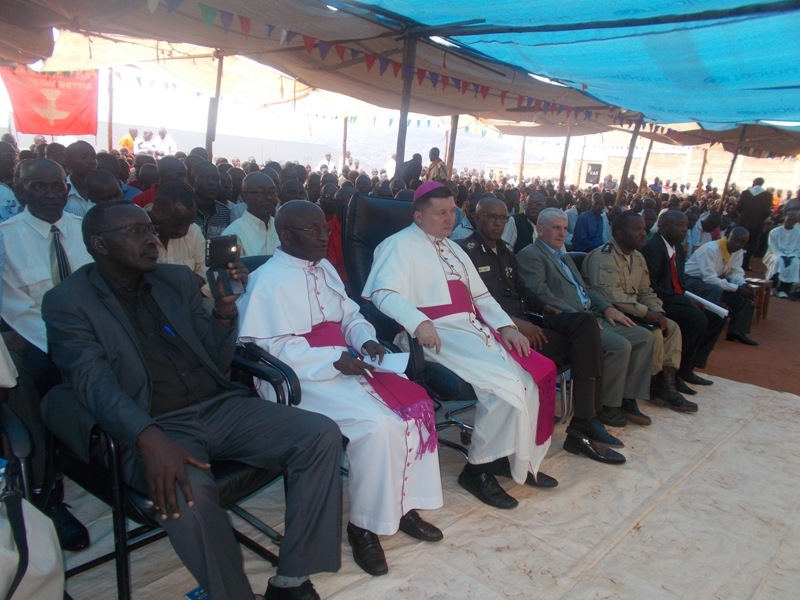 In his speech after the celebration of the holy mass and the confirmation of prisoners-Christians, Jozwowicz said he has enjoyed prisoners’ talents, specifying the live performance of Kizito Mihigo at the holy mass. “I have seen many talented people here and I have specifically appreciated the choir’s representative Mr Kizito Mihigo in his live performance at the piano and melodious Christian catholic songs,” Jozwowicz said. “I have also enjoyed talents of other members of the choir as well as all people here,” the Nuncio added. 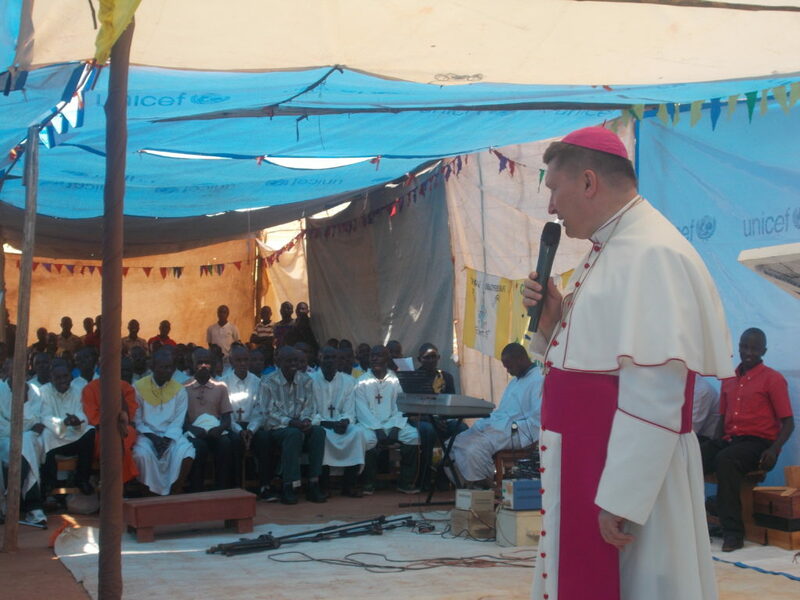 Apostolic Nuncio to Rwanda, Msgr. 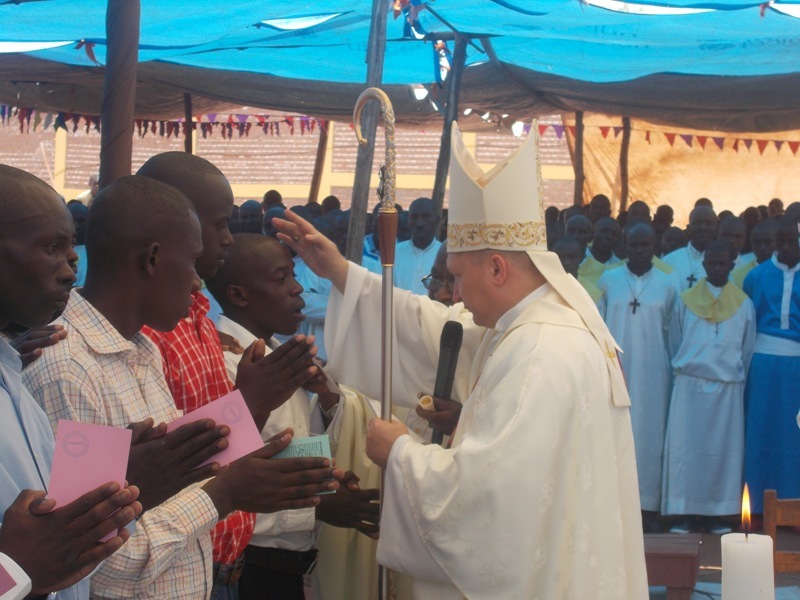 Andrzej Jozwowicz giving Confirmation sacrament to Nyarugenge Christian Church prisoners. (Elias Hakizimana). Apostolic nuncio to Rwanda, Msgr. Andrzej Jozwowicz praying for the Euchalistic holy celebration (Elias Hakizimana). Jozwowicz recommended Christians-prisoners to use time properly in doing good things including improvements’ on their talents and glorify the Lord-Jesus. 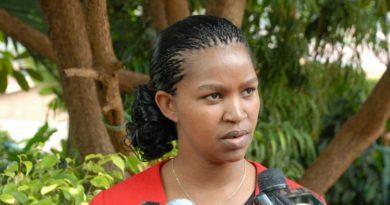 “Use your talents in doing good things and for God’s glory as well as for Rwanda,” he added. According to the Vice- Commissioner General of Rwanda Correction Service (RCS), ACP Jean Bosco Kabanda, the trip of the Apostolic Nuncio to Nyarugenge prison in Kigali marks the good partnesrship between Catholic Church and the Government of Rwanda, especially the good partnership between catholic church and RCS. Catholic Church currently works closer prisoners through every week’s prayers, knowledge sharing through internal education. 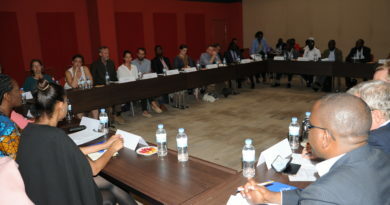 ” We, as RCS, this helps us to accomplish our responsibilities in justice, in correction, in knowledge sharing and in giving positive results,” Kabanda noted. 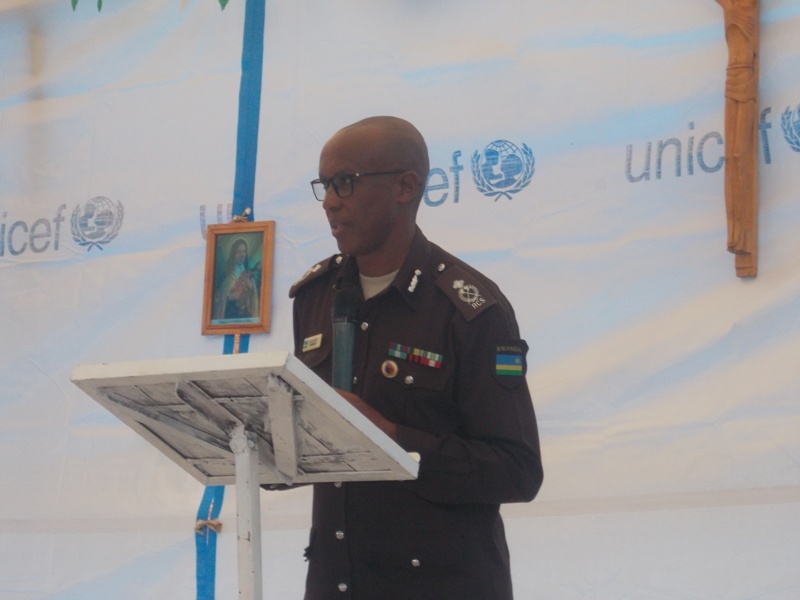 Vice- Commissioner General of Rwanda Correction Service (RCS), ACP Jean Bosco Kabanda appreciated the trip of Apostolic Nuncio to Nyarugenge prison. Kabanda recommended prisoners who were given Confirmation sacrament to raise good fruits of peace and love among their colleagues, not only Catholic Church Christians, but also the rest of prisoners’ community who believe in other Religion. The new Nyarugenge prison is located in Mageragere sector and hosts 1,300 Catholic Church Christians, making 20 percent of all Catholic Church- Christian community living in the sector. The nuncio was in Rwanda the first time visiting prisons and the first prison welcoming him is Nyarugenge. 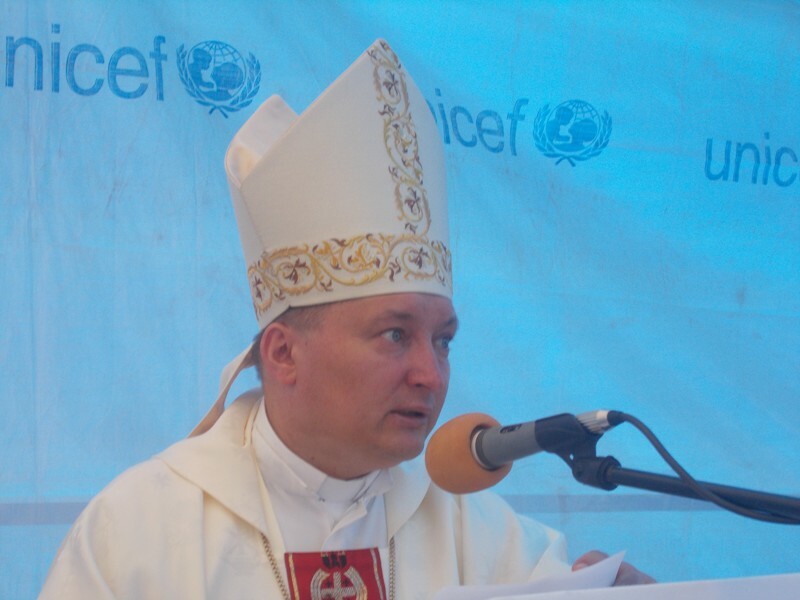 The mission of Mgr Andrzej Jozwowicz, from the Holy See ‘Vatican’, is to consolidate the “New Chapter” of bilateral relations that has been opened between Rwanda and the Catholic Church following a tainted past especially due to the Church’s role in the 1994 Genocide against the Tutsi. Msgr. 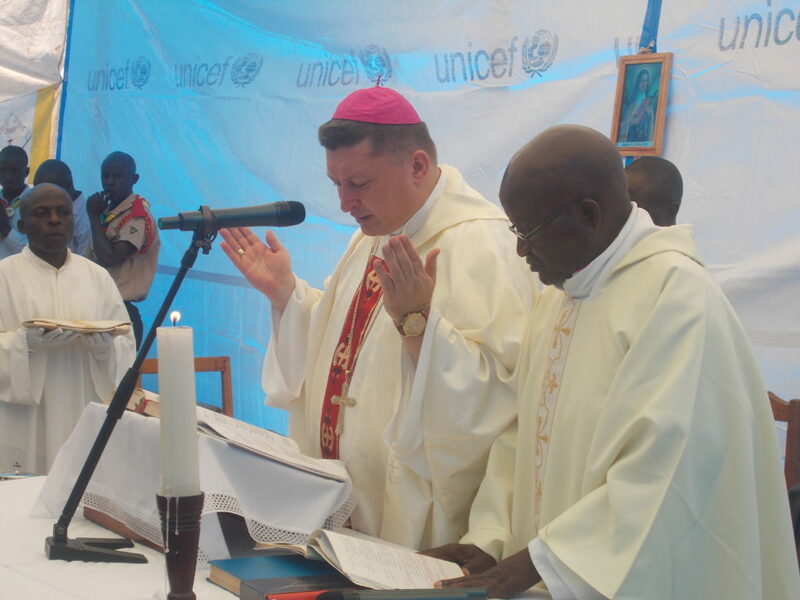 Andrzej Jozwowicz celebrating the holy mass (Elias Hakizimana). Msgr. Andrzej Jozwowicz addressing to the prisoners after the holy mass. 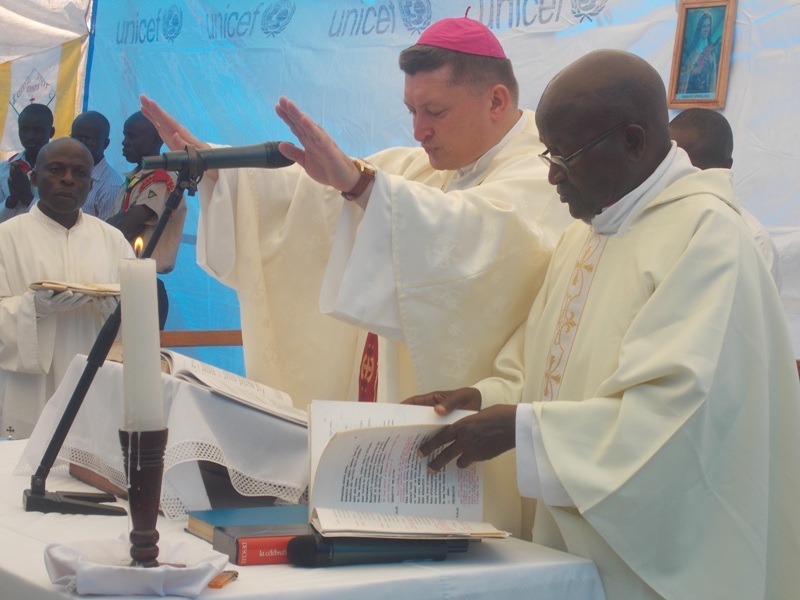 Apostolic nuncio to Rwanda, Msgr. Andrzej Jozwowicz celebrating the holy masse in the prison. Kizito Mihigo is a good Musician especially in Catholic church songs (Elias HAKIZIMANA). 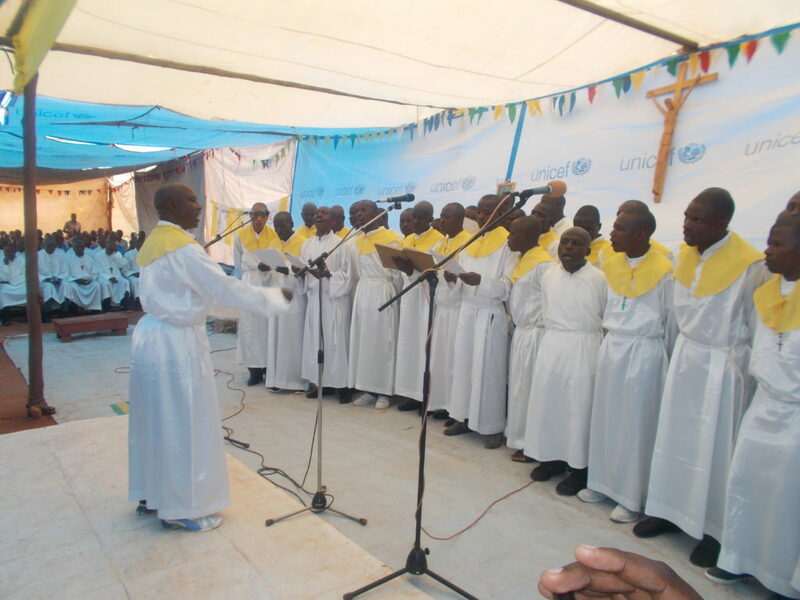 Kizito Mihigo’s Choir in prison performing in front of apostolic nuncio to Rwanda, Msgr. Andrzej Jozwowicz and other officials from RCS (Elias HAKIZIMANA). 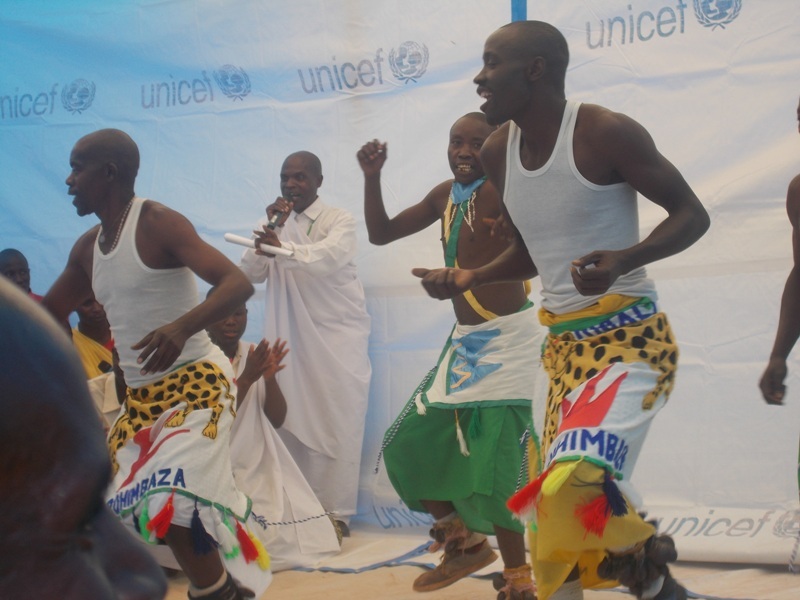 Prisoners performing in traditional dance (Elias Hakizimana). 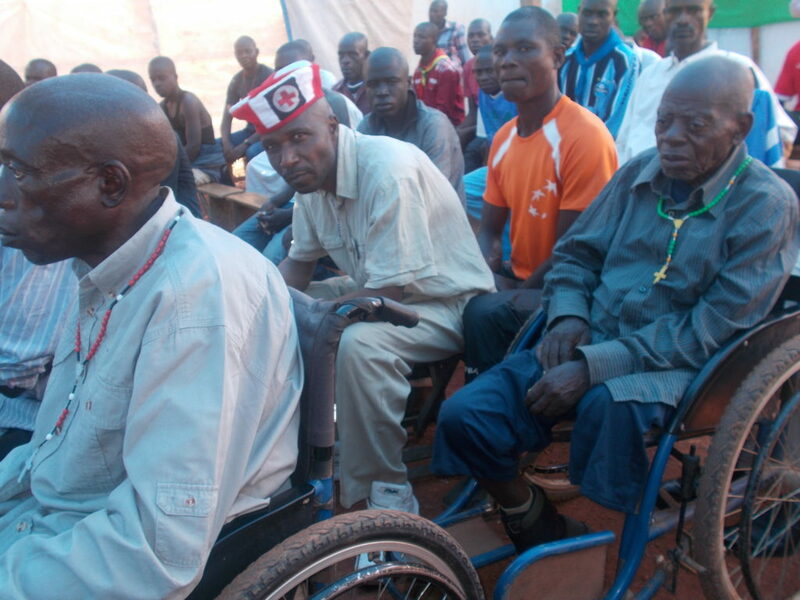 All prisoners including Disabled old men who believes in Catholic Church have been in the holy mass. (Elias.H). Msgr Jozwowicz with Vice- Commissioner General of RCS, ACP Jean Bosco Kabanda at his Left and more guests after the holy mass celebration (Elias HAKIZIMANA).